A large, beautiful and imposing church in Tayabas, Quezon, officially named the Minor Basilica of St. Michael de Archangel (San Miguel de Arcangel Basilica Menor or Tayabas Basilica for short) is a typical stop-over for Tutubi after visiting friends at Tayabas Multi-Purpose Cooperative (TMPC). The National Historical Institute (NHI, now the National Historical Commission of the Philippines) marker states that the previous stone church was destroyed by an earthquake in 1743 and present structure was built afterwards with various improvements. 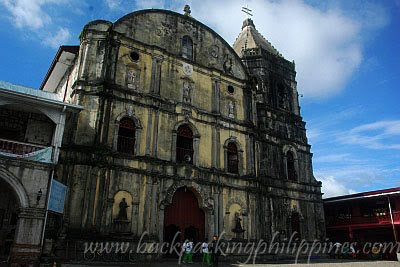 The NHI marker further states that it's one of the most beautiful churches in the Philippines. 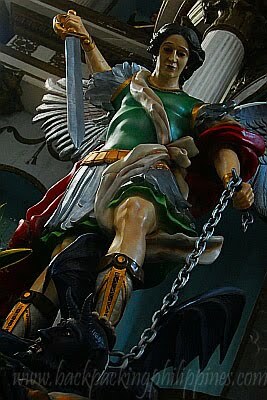 The church is dedicated to St. Michael the Archangel, thus the image of the angel on the church patio and the famous depiction of St. St. Michael The Archangel slaying the devil (which is made more famous on the label of a popular "stainless" gin maker). 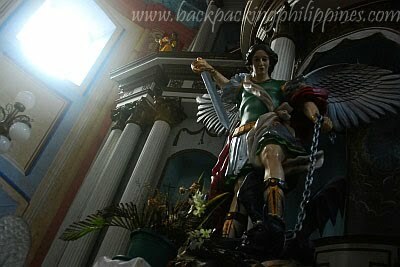 another popular church dedicated to the archangel can be found in San Miguel, Manila where a more dramatic representation of the San Miguel Arcanghel can be found. Lastly, this is recommended stop for those planning for a Quezon Visita Iglesia itinerary during Holy Week. it's a beautiful church. the dome looks European 'no? Wow! I love the take of the cavernous interiors of the minor basilica. Nice symmetry! 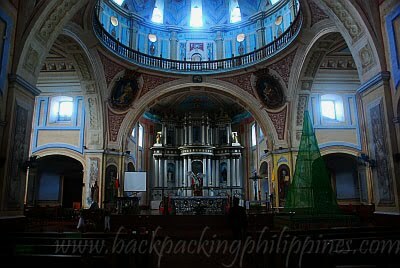 you can visit the basilica and climb its belfry with tour guide @ php50/person. they also have museum with antique religious artifacts, paintings and more for another php50/per person. you can call or text juvi ravalo @ o9216863041 for information and booking.